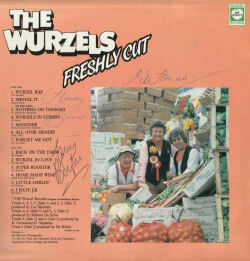 The first Wurzels album following their departure from EMI, Freshly Cut was released on the bands own Wurzel Records label. 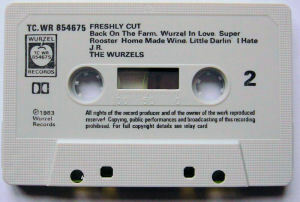 The content is a mix of new material, songs previously issued as singles in the early 1980s, as a couple new versions of two favourites from the Adge Cutler days - All Over Mendip and I Wish I Was Back On The Farm. It is interesting to note that the album has four separate producers credited, which would suggest that this album gathers together recordings from various sessions. 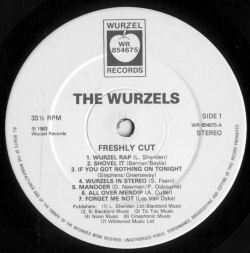 Also, although John Morgan has joined the band in 1981, there is no mention of him on the credits (nor indeed of any other drummer). 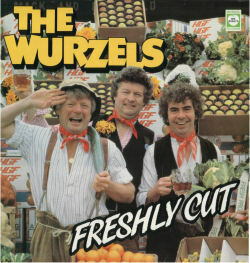 Band line-up: Tommy Banner (piano, organ, accordion, vocals), Tony Baylis (bass, bass guitar, sousaphone and vocals) and Pete Budd (banjo, guitar and vocals). 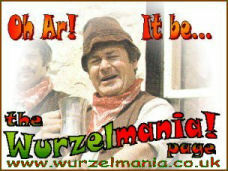 Wurzel Rap c/w Wurzels in Stereo was released in 1983 on the Goldliner label. 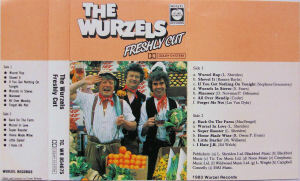 Not sure if this released was tied in the the album release or not. 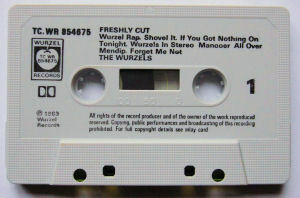 Other singles included on the album were the 1980 single I Hate JR, If You Got Nothin' On Tonight and its b-side Little Drop Of Home Made Wine released later the same year, and Shovel It Here (the b-side to the 1982 single Coughin' Song). 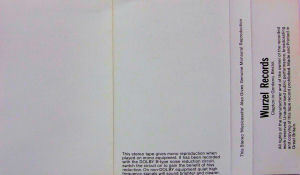 All of these had been released on John Miles' label.